Brut Rosé is one of the hottest categories in wine today. Who can resist it? These effervescent wines offer gorgeous pink or peach color in the glass and a robustness you simply can’t get from Blanc de Blancs. Brut Rosés are typically made from a blend of white and red grapes but a couple of the wines on GAYOT’s Best Brut Rosé Champagnes list feature only red grapes. 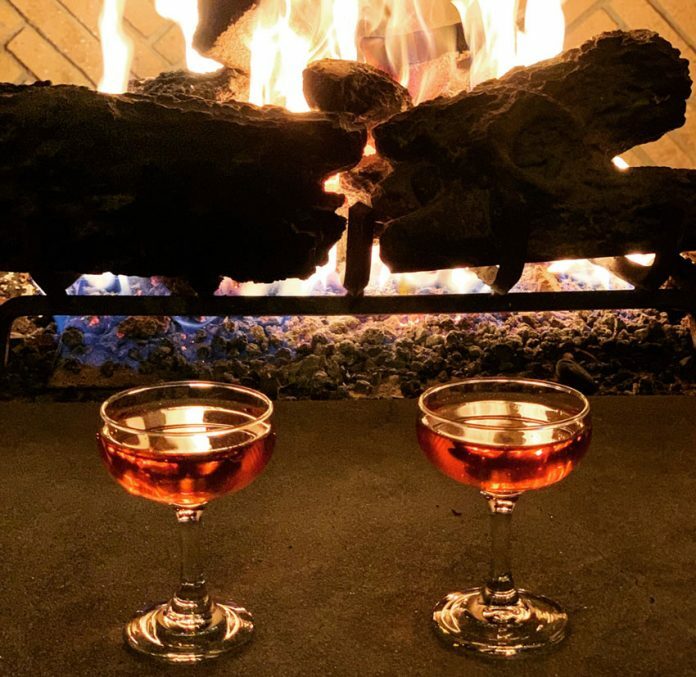 Because Brut Rosés come in many different styles and levels of body, we made sure to put something on the list for every taste and preference. GAYOT’s Best Rosé Champagnes range in price from $50 to $300 to suit a variety of budgets. > For more of GAYOT’s finest bubbly options, check out GAYOT’s Best Demi-Sec Champagnes list. Price: $78 for 750 ml. Billecart is one of the oldest independently owned Champagne houses. In fact, the year 2018 marks the 200th anniversary of the house. Miraculously, it has managed to stay in the hands of the same family for seven generations. Lovers of their signature wine, the non-vintage Brut Rosé, might be surprised to learn that they’ve only been producing this Champagne since the 1970s. 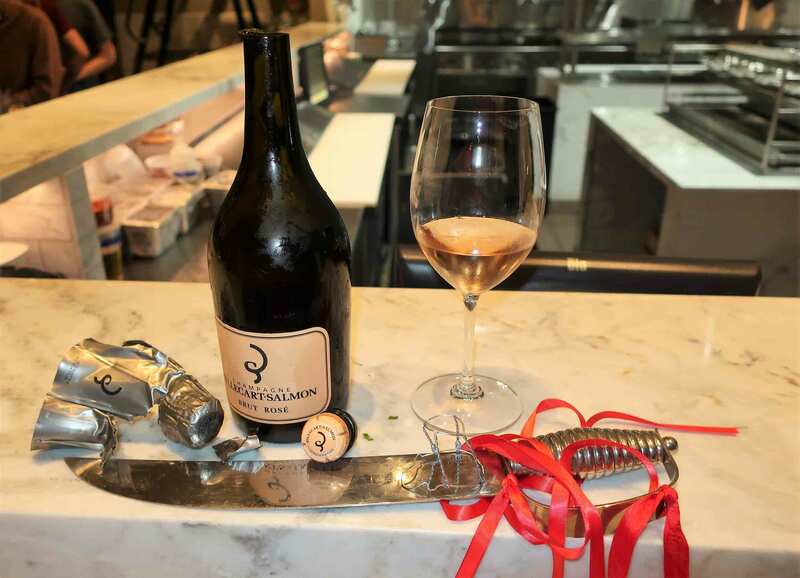 Among wine professionals, the Billecart NV would have to be the “just right” Rosé. There are Rosé Champagnes that boast greater complexity or bigger body but nothing harmonizes with the palate, with a meal or with the soul quite like Billecart. The color of a peach rose, this wine is both pretty and lush. It offers delicate flavors of strawberry and raspberry with bright but subtle lemon acidity. It is a gentle Champagne with a beautiful mousse and the finest of bubbles. For more information, visit Champagne Billecart Salmon official website. Price: $68 for 750 ml. A classic Blanc de Noirs champagne brut that’s like this fairly new champagne brand: bold and elegant. A blend of Pinot Meunier (30%), Pinot Noir (30%), Chardonnay (30%) and Red Wine (10%), we like its fruity taste. 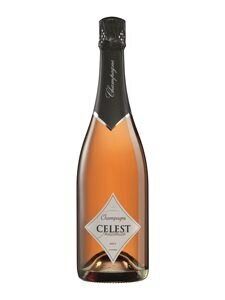 For more information, visit Champagne CELEST official website. Price: $300 for 750 ml. This legendary Champagne house was founded by Joseph Krug in the early 1800s. Krug’s approach differed slightly from the vintners who came before him. He was determined to create premium Champagne from every vintage, no matter the climate difference from year to year. He did this by keeping a reserve of wines from which to draw to create a prestige Champagne each and every year. It is an approach the house still employs today. Krug Rosé is one of those wines that are as much an experience as a flavor. To say that it’s a complex wine would be an understatement. 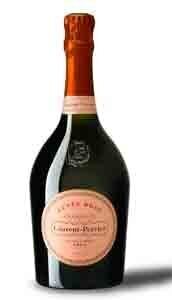 Its aromas include rose petals and cooked apricot along with freshly baked pastries and raspberries. It fills the mouth with exuberant bubbles and an array of flavors that range from raspberries and red currants to honey and tangerine. Its creamy mouthfeel is a pleasure all on its own. The wine’s finish lingers so long, you’ll wonder if it’s going to go on forever. For more information, visit the Champagne Krug official website. Pol Roger sold its first bottle in 1849. Although the house is going strong today — it is known as a favorite of the British royal family — it was a house that went through staggering trials and tribulations to get to this point. A partial collapse of the winery and cellars in the early 1900s almost marked its early demise. Then, the collapse of the economy, followed by the Second World War made it nearly impossible for Pol Roger to recover. However, the staunch support of Winston Churchill helped the house to continue, and by the 1960s it launched its first vintage Brut Rosé. The 2008 Rosé is bursting with ripe fruits on the nose, including pomegranate, red currant and raspberry. These fruit flavors continue on the palate, along with a backbone of tangerine acidity and faint minerality. A tease of vanilla on the finish rounds out the experience. For more information, visit Champagne Pol Roger official website. Price: $55 for 750 ml. 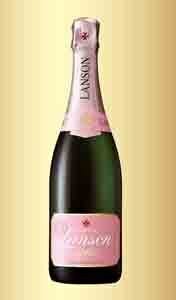 The history of Champagne Lanson dates back to 1760. It was not only one of the first established Champagne houses but it was also one of the first to consistently produce Champagnes in the Rosé style. Lanson takes a very balanced approach to their Brut Rosé, walking a delicate line between ripe red fruit and fresh, grapefruit acidity. It is crisp yet fruity, elegant yet exciting. 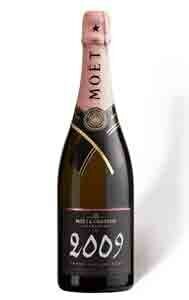 It offers classic raspberry and strawberry on the mid palate and lingers long with a note of minerality. For more information, visit Champagne Lanson official website. Laurent-Perrier takes a rather unique approach to making Brut Rosé. The wine is made from 100% Pinot Noir, all from Grand Cru vineyards. The grapes are then treated to extended maceration, as much as 72 hours. The length of maceration is always judged by the aromatics, to help maintain elegance. Such an interesting wine makes a solid addition to our list of the Best Brut Rosé Champagnes. The Cuvée Rosé is one of the most recognizable Brut Rosés in Champagne. Known for its unique and elegant bottle shape, this wine is more ripe and full-bodied than many on the list. For a wine that offers richness, it is still somewhat sleek with orange zest acidity. Its layers of flavor include strawberries, tart cherries, raspberries and black currants with underlying bitter herb and almond notes. Price: $85 for 750 ml. The house of Ruinart is well known for two things. It is known as the very first Champagne house and it is known for its outstanding Blanc de Blancs Champagnes. What many wine lovers do not realize is that in the eighteenth century, Ruinart also created the world’s first Rosé Champagne and the winery is still very much dedicated to its Rosé legacy. This is the kind of wine that almost defines the Brut Rosé style. Its restrained aromas are of hibiscus and rose petals with a mere hint of raspberry fruit. It has just enough acidity for freshness but not enough to compete with the ripe raspberry and red currant flavors. It finishes long with just a hint of spice. It is the sort of wine that would be welcome with any meal but it’s also a delight to drink on its own. For more information, visit Champagne Ruinart official website. It was an easy choice to add this wine to our Best Brut Rosé Champagnes. The dominance of Pinot Noir is in evidence with every sip, making it one of the biggest, most bold Champagnes on the list. But do not think that means it is lacking in sophistication. It is a powerful but well-structured Brut Rosé with notes of wild strawberry, raspberry, kumquat, honey and toast with a sensual hit of spice near the back of the palate. For more information, visit Champagne Möet & Chandon official website. Price: $80 for 750 ml. Taittinger is known as a pioneer of sparkling wines. It was one of the earliest houses, established in Reims in 1734. It was also one of the first Champagne houses to invest in Californian sparkling wine. And, as of last year, it is the first Champagne house to plant vines in England. But beyond the house’s pioneering spirit, it is known for its consistency in producing premium Champagnes. A very pretty wine, Taittinger’s non-vintage Rosé offers aromas of freshly picked raspberries and currants. The flavor of red currant gives it mouthwatering tartness while pomegranate and raspberry flavors add depth. The wine is plush with an almost velvety texture. 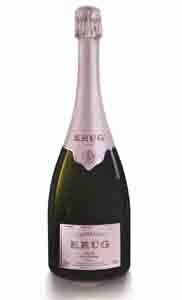 This brut rosé opens with rich and expressive fruit aromas on the nose. The palate offers flavors of blackberry, black cherry and pink grapefruit with hints of blood orange that leave a lingering finish of baking spices. For more information, visit Champagne Taittinger official website. Price: $65 for 750 ml. With Marie Antoinette as an early fan, Piper-Heidsieck cemented its place in Champagne history before many houses were even developed. The winery takes an approach that Champagne has a role in seduction and that commitment to sensuality is in full evidence in their Rosé. The Sauvage is a thoroughly unique Rosé. A red-wine dominant blend gives it an almost garnet color, as well as musky notes on both the nose and palate. Blackberry and black raspberry flavor hit the palate with surprising force and linger long, but an almost gamey note at the back of the palate gives the wine incredible dimension. If you’re looking for a big-bodied Champagne, this is the one. For more information, visit Champagne Piper-Heidsieck official website. Paul Bara is one of the few small, independently run Champagne houses left. A family operation with big heart, it defies the odds to make truly world class Champagnes, year after year. The Brut Rosé is a solid choice if you’re looking to drink pink Champagne in an affordable price range. An almost orange-pink wine, it offers strawberry and floral aromas. On the palate, there’s more red fruit along with hints of spice and toast on the finish. Its bubbles are persistent yet fine as a pin point, adding elegance to an already impressive wine. For more information, visit Champagne Paul Bara official website.